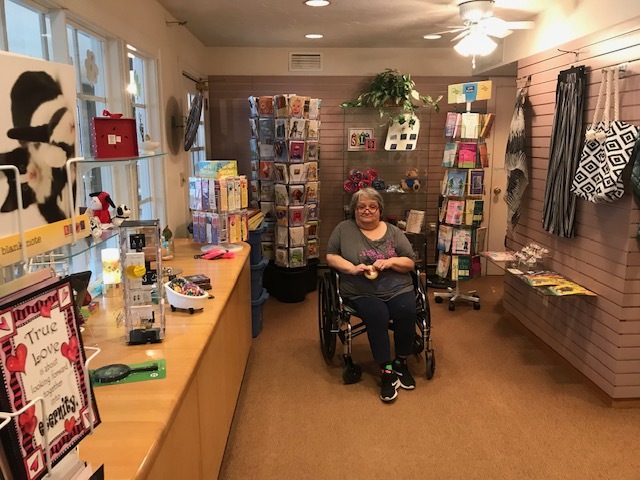 With great enthusiasm, we introduce the gift shop at Heather Hill Care Communities. Come see shopkeeper Melodie for all your knickknacks, trinkets and “thinking about you” gifts. Peruse our selection of blouses, pajamas, greeting cards, jewelry and more! Coming soon, Heather Hill spirit wear! Our current hours of operation are Thursdays and Sundays from 1 PM – 4 PM. Be on the lookout for expanded days and hours of operation. Give Melodie the coupon code “Facebook” for an additional 10% off your purchase.